(WASHINGTON, D.C., 2/15/18) — A panel of 13 judges on the U.S. Court of Appeals for the Fourth Circuit in Richmond, Va., sitting “en banc,” today declared Trump's Muslim ban illegal and unconstitutional. In its ruling against the Trump administration, the court concluded that "the Proclamation [Muslim Ban 3.0] is unconstitutionally tainted with animus toward Islam." The court went on to state that the Muslim ban violated the First Amendment's Establishment Clause because the primary purpose of the ban is "to exclude Muslims from the United States." The Fourth Circuit recognized the great harm endured by those affected by the Muslim ban: "Prolonged and indefinite separation of parents, children, siblings, and partners create not only temporary feelings of anxiety but also lasting strains on the most basic human relationships cultivated through shared time and experience." In its opinion, the court pointed to CAIR's client Fahed Muqbil to emphasis the harm done by the ban: "Plaintiff Fahed Muqbil has a one-year-old daughter who, due to severe birth defects, has been undergoing multiple life-threatening surgeries in the United States without her mother, a Yemeni national, by her side." On the eve of Muslim Ban 3.0's anniversary, Muqbil's wife entered the United States, reuniting the Muqbil family in Mississippi. Because the U.S. Supreme Court has allowed the administration to implement Muslim Ban 3.0 while the various legal challenges against it unfold, the Fourth Circuit’s decision will not have any immediate effect on the ability of foreign nationals from the banned countries to obtain a U.S. visa. 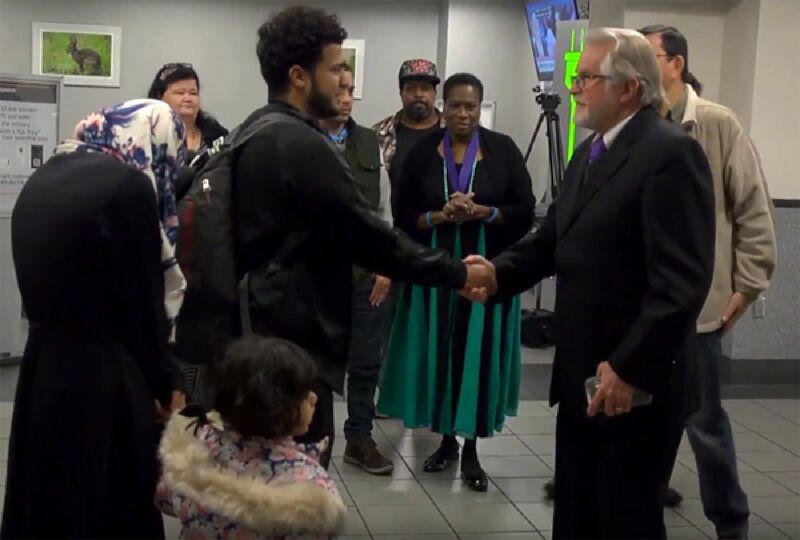 "We are pleased that another court has recognized the enduring harm that American Muslims are suffering due to discriminatory and unconstitutional policies put forward by the Trump administration,” said CAIR National Executive Director Nihad Awad. This is the latest court ruling against the Trump administration’s efforts to implement its Muslim Ban.